Adidas does not shy away from rebooting a classic, their archives are full of cool silhouettes. This time around, the three stripes brought back a 1984 classic and merged it with futuristic vibes to create a shoe that some deem ahead of its time. 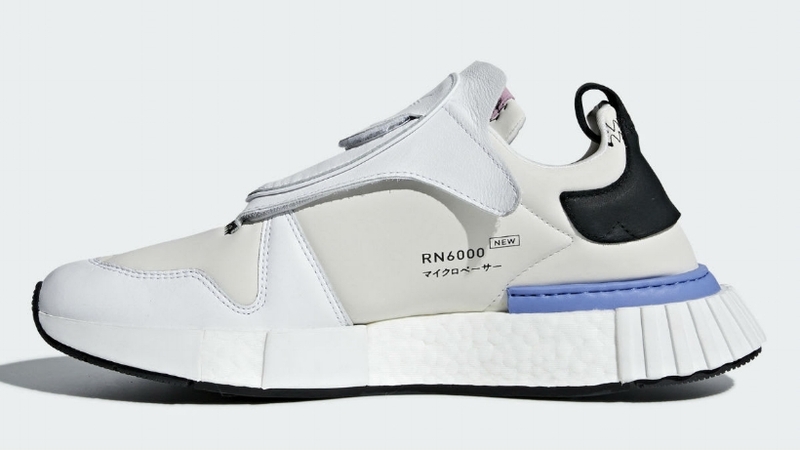 Based off the iconic Micropacer, the shoe combines key elements from the retro model with newer elements from the modern NMD. The Micropacer is super important to the story of this new model. It was once the most futuristic shoe at the time of its release. The sneaker was the first “smart shoe,” featuring elements like a microsensor that tracked distance and speed. It also featured a small LCD screen on the tongue. Because of all this innovation, the sneaker was too heavy and expensive for a widespread release. Now, the Micropacer legacy lives on, in some ways. The Futurepacer debuted in a “Grey One” colorway. The upper of the shoe is dressed in an off-white 3M material that is overlaid with white leather around the toe box and tongue area. The distinct design of the tongue tab is a direct nod to the Micropacer. It even features the little square cut-out that once housed the LCD screen. Laces are hidden under this tab to create a sleek silhouette. The next distinct feature of this sneaker is the midsole. The sneaker incorporates a full NMD boost midsole that adds superior comforts and more of that futuristic feel. Blue and black accents on the heel and pink accents on the inner tongue complete the look of this sneaker. I can definitely see why some think this shoe is ahead of its time. It takes futuristic ideas of the past and merges them with the same ideas of today and creates something completely new. Not gonna lie, I slept on these but after digging into this sneaker a little deeper, I just might have to cop. If you’re feeling these futuristic kicks, you can SHOP THE SNEAKS below for $180 USD.